Planners to organise your daily life are becoming more common, as a society we are slowly becoming more addicted to organisation and pre-made planners make it oh so easy. 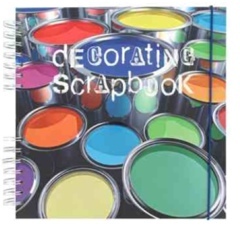 Paperchase has recently brought out a decorating scrapbook to assist when you are decorating your home (one to add to the collection when I am finally out of the rental into a home to call my own). The website unfortunately does not do the scrapbook justice, it is lightweight yet sturdy with lots of tidy pockets. The only danger I can see it one filling up the pockets in respect of the inspiration and swatches sections and not the pages, but even if you just write in the rest – there is no denying that having all the decorating stuff in the same place is not just… easier. and if home decorating is not for you they also have a gardening scrapbook in the same range. Love the drawings 🙂 must try and brush up on my French.